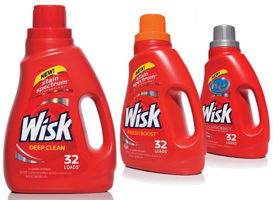 If you are a Smiley 360 member, check you account for a FREE Wisk Laundry Detergent offer. It would be on your main page under"Offers For You" section. If you have just follow the steps to see if you qualify. they are looking for certain people in a specific demographic. If you not a Smiley 360, you should sign up today! Smiley is a community of social consumers who enjoy sharing their thoughts and opinions about brands. Be the first to try and review exclusive products and discover new brands, experiences, and offers, all for FREE!